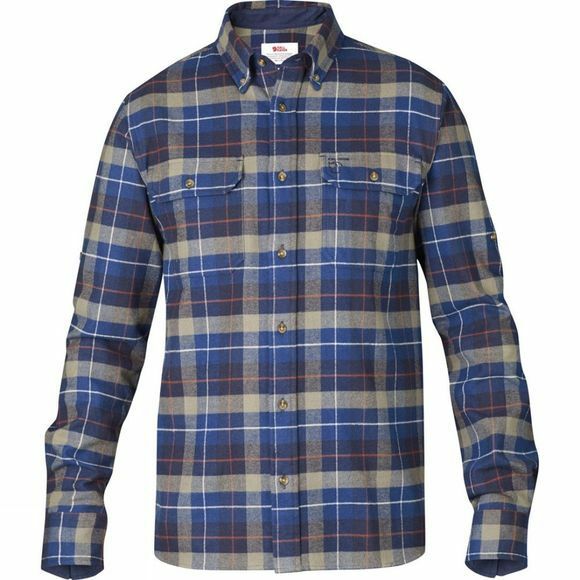 The Men's Singi Heavy Flannel Shirt is a thick cotton shirt which is ideal as a warm layer in cool weather. It boasts two chest pockets with button down flaps along with a button down collar for a smarter look. The sleeves can be rolled-up and secured if you get a little warm while the regular fit is not too big but just right if you choose to wear a thin T-shirt underneath as an extra layer in particularly cold weather.